Relax in style with the Nautilus Swivel Chair & Ottoman duo by Eichholtz. 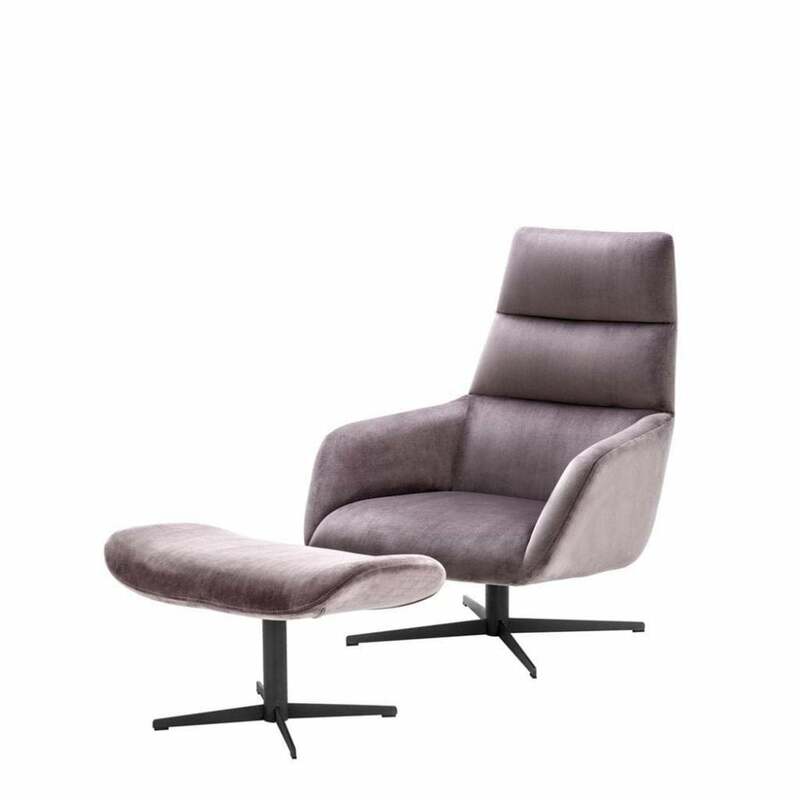 Upholstered in a luxuriously soft Roche taupe velvet, the swivel chair and ottoman combines both form and function. This stylish recliner is the perfect addition for contemporary homes looking for modern alternatives to a classic armchair. Complemented by an iron swivel base, this duo has matching crossed leg designs. Featuring a triple layered back with a plush foam fill, the Nautilus Chair reinterprets a recliner chair with a tasteful twist. Inspired by mid-century modern styles, the Nautilus Swivel Chair and Ottoman will bring retro glamour to any home interior. Roche taupe velvet / grey swivel base Including ottoman. Please note, the base is lighter than pictured in the image - please contact us for further details.